After searching the web for a capability statement template, we decided to build our own. Majority of the templates were created using offline products and converted to PDF format. Using the popular responsive framework Bootstrap, our capability statement takes advantage of the precise and elegant grid system provided within the toolkit. 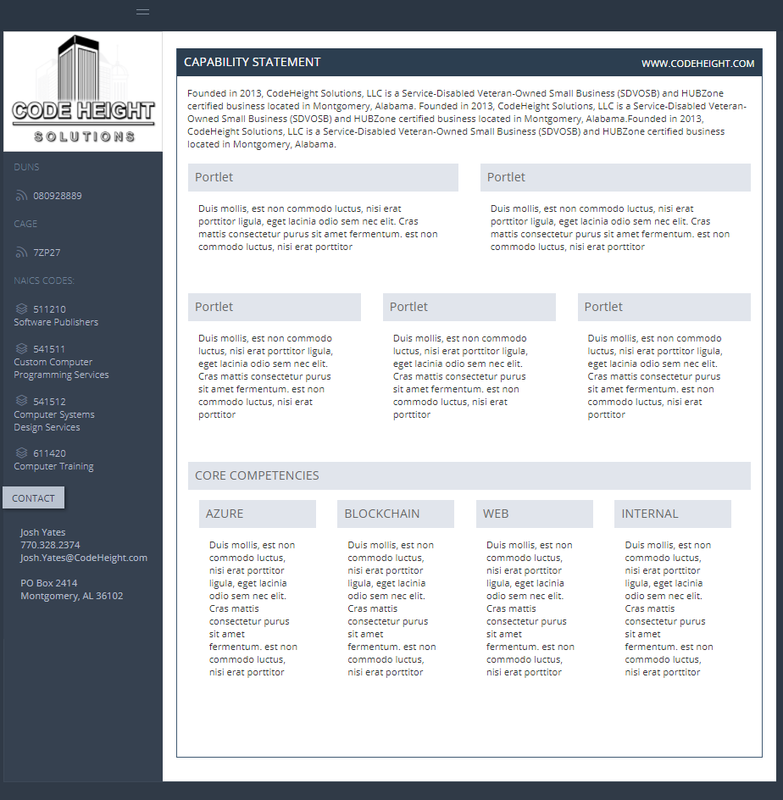 Our template has been uploaded to Github and is open source. The CodeHeight Solutions capability statement has a Github branch off the template. While on the repository parent directory, click on the "Branch" dropdown and select "CodeHeight"
Essentially, this is a fork off the capability statement template.